Thank you, Judith for inviting me to your blog. I’m delighted to have the opportunity to step off the kerb so to speak, and explore a topic I’m intrigued by. In one of your questions, you handed it to me on a plate! Assuming they know what magical realism is when too often they are confusing it with fantasy. In recent years, the lines have become more and more blurred and the voices of those of us writing authentic strands of magical realism are becoming diluted. Once an author creates an ‘evil’ made-up entity, calls her Lady Pandora Swirlycloak and sets her in opposition to a ‘good’ human protagonist, in my view, she’s writing fantasy. If she concocts realms that are clearly imaginary, she’s writing fantasy. If she introduces any sort of spell other than a gentle nod in the direction of birdsong or a dose of Rescue Remedy, she’s writing fantasy. Fantasy is outrageously multi-coloured because it’s supposed to be. Its authors make up weirdly wondrous stuff because they can. Their readers know it isn’t real and can enjoy it for its own escapist sake. Paradoxically, magical ‘realism’ is concerned with ambiguity. It’s nuanced and suggests an understanding that in the natural world other places may exist: glimpses between the veils of the world we know into other possibilities. And that ‘small magics’ may also be possible: a woman can be so green-fingered, her garden never needs weeding. 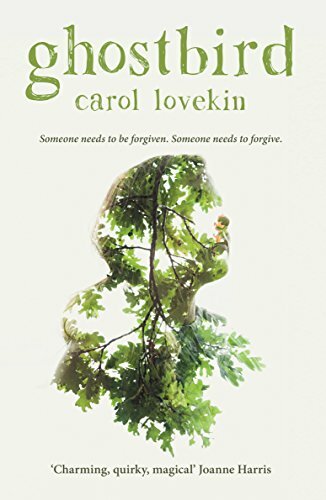 In Ghostbird, I asked my reader to consider that, When a girl of fourteen has longed for something for most of her life, when the sense of it clings like dust to the edge of every waking thought, it’s possible old magic will hear her. Possibility is the key and where the notion of ambiguity comes in. What we read isn’t necessarily made up (although it may be) but is it real? The writer of magical realism calls on her inner poet; she adopts a style of language aimed at enticing her reader with the idea that ‘natural magic’ may in some way exist in the everyday. Unlike fantasy, in magical realism the choice is whether or not to collude. It will always lie in the hands and heart of my reader. To be honest, Judith, the genre chose me. When I began Ghostbird I assumed I was writing a straightforward, contemporary story with a myth and some magical realism round the edges; a story about a young girl unravelling the past in order to find out who she is. The ghost was only ever meant to be a whispered soundtrack. After reading an early draft my astute editor, Janet Thomas, pointed out that the ghost of Cadi’s sister needed a far bigger voice. I disconnected from the main narrative and wrote down the ghost’s story in isolation. Once it was done, I cut it up and slotted it in. The rest as they say is history. I’ve just finished the first draft of the ‘difficult second novel.’ It’s another ghost story so it’s clearly what I now write! It’s darker than Ghostbird. This time, I’m asking my reader to accept that a ghost can be woken by a simple act of kindness, and a young girl’s absolute conviction that what she is hearing is real. How can readers find more about you and your book? Shared, tweeted and Tumblr’d – great interview 🙂 Looking forward to seeing you all in Tenby! I so remember everyone talking about Ghostbird at the Llandeilo book fair, Judith. I missed the reading Carol did, but everyone who heard it said how brilliant it was. A short interview I gave to Judith Barrow’ on her excellent blog.